Can I get a FLAC to MP3 converter to convert multiple files online? Converting FLAC to MP3 files can become an easy task if you use the right tool. You can use any online converter in the market to convert FLAC to MP3 online, but not every website supports multiple file conversions. One of these 5 Online free FLAC to MP3 converters can easily convert multiple files in a go. However, it is recommended to use an Audio Converter so that you can convert any audio files flexibly. With iSkysoft Video Converter Ultimate you can convert any several FLAC audio files into MP3 instantly. FileZigZag supports most of the common audio file conversions such as FLAC to MP3, M4A to MP3, AAC to MP3 and so on. Just upload the original FLAC audio files and select MP3 as output format. Enter your email id to receive the converted MP3 files. This converter provides user friendly interface and fast conversions. No Installation or Download required. Sends the Converted File via Email. Convert Multiple FLAC files to MP3. Consumes too much time to Upload a single FLAC file. Time Consuming for Multiple FLAC file conversions. Media iO is one of the best online audio converters, which can convert FLAC files to MP3 effectively. You can use 2 different methods to upload the FLAC audio files. You can either upload the FLAC audio file or paste the URL for direct conversion. But it is better to upload the FLAC files, in case of multiple file conversions. You can also choose output audio quality if needed. You can also choose to download the converted file in a compressed zip file after conversion. Option to download the converted MP3 files in a compressed Zip file. Supports Multiple FLAC File conversions. Loss in Audio Quality during Multiple file conversions. Zamzar is the most popular online audio converter, which provides useful information about each file format. You can learn a lot about Media File formats from this website. You can easily convert multiple FLAC files into MP3 within 5 minutes. It is very easy to use and navigate. 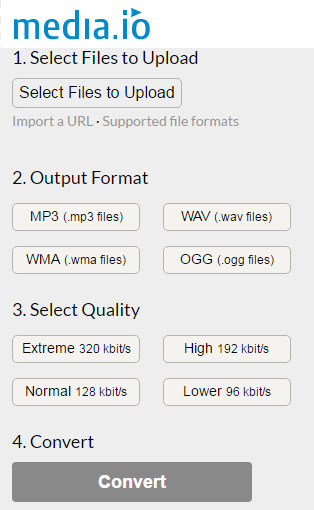 Just upload the FLAC files, choose the output format as MP3 and click ‘Convert’. Enter your email id and wait for an email from Zamzar to receive converted MP3 files. It also provides amazing web service options such as Basic Plan, Pro or Business Plan, so that you can upload and convert any number of files as per your requirement. Free FLAC to MP3 File conversion. Up to 50 MB Upload Size. Multiple FLAC file conversions with original quality. Consumes more than 5 minutes to convert multiple audio files. Limited uploads for free users. Cloud Convert is a popular Online Converting service, which can convert any audio file into MP3. It supports many options to upload your audio files such as Add from URL, choose from Dropbox, choose from Google Drive, choose from OneDrive and Choose from Box. Along with that you can upload several FLAC audio files for conversions. It supports advanced features like audio codec settings, folder monitoring or batch conversions. It is a trustworthy and reliable web service as it deletes you file immediately after your conversion is complete. Change Audio settings such as Bitrate, Audio Channels, Frequency or Normalization. Easily convert FLAC files into MP3. Supports more than 200 file formats. Takes several minutes for multiple FLAC File conversions. Online Audio Converter is another FLAC to MP3 converter which can convert multiple files with intact audio quality. It also provides useful editing feature to enhance audio/sound quality. Simply open the FLAC audio files via Google drive, Dropbox, URL link or your computer. Set Audio quality settings from Economy, Standard, Good OR BEST setting options. You can also edit track information if needed. Batch Convert FLAC files and download them in a Zip file. Advanced settings such as Frequency, Audio quality and so on. Supports more than 20 Audio file formats. Lacks speed during multiple file conversions. iSkysoft Video Converter Ultimate is a quick and easy-to-use audio/video converter which supports YouTube Downloader, DVD toolkit, In-built media player and editor. It also supports batch processing, merge audio files or combine audio files in another file format. You can also play or listen to the converted MP3 files in portable devices such as Apple iPhone, Apple TV, HTC devices, Tablets and many more. Use In-Built Media Library to Play music. 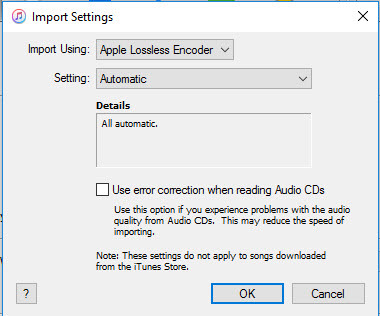 Change Audio Codec such as Change Audio Encode settings or codec if needed. Amazing Device support for more compatibility. Convert and share MP3 Audio files over 1000’s of Hosting Websites. Stabilize or Enhance MP3 Audio quality. Super-Speedy Conversions with no loss in audio quality. 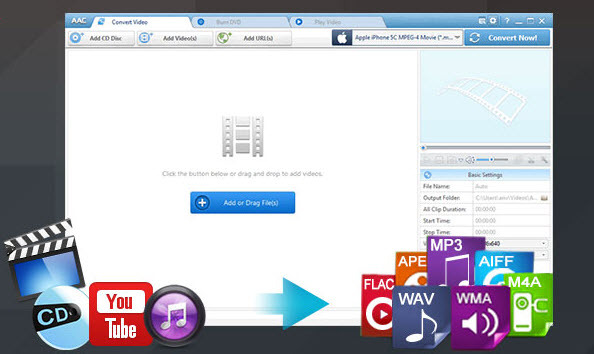 Supports more than 20 Audio Files formats such as AAC, OGG, MP3, WMA, APE, AC3, M4A, FLAC etc. Basic Audio Editing Functions: Trim, Cut, Merge Audio files, Bitrate, Channel settings etc. Online Converters are one of the easiest methods to convert multiple FLAC files into MP3. At the same time, it is not an effective method. You need to choose the best desktop FLAC to MP3 Converter like iSkysoft Video Converter Ultimate which can convert any number of FLAC files into MP3, with superb speed & audio quality.